"Ezra, Kanan, Zeb and Chopper are captured by a unit of old battle droids determined to fight one last battle to end the Clone War during a salvage mission in an all-new episode of “Star Wars Rebels” that airs this SATURDAY, OCTOBER 22 (8:30 p.m., ET/PT) on Disney XD." 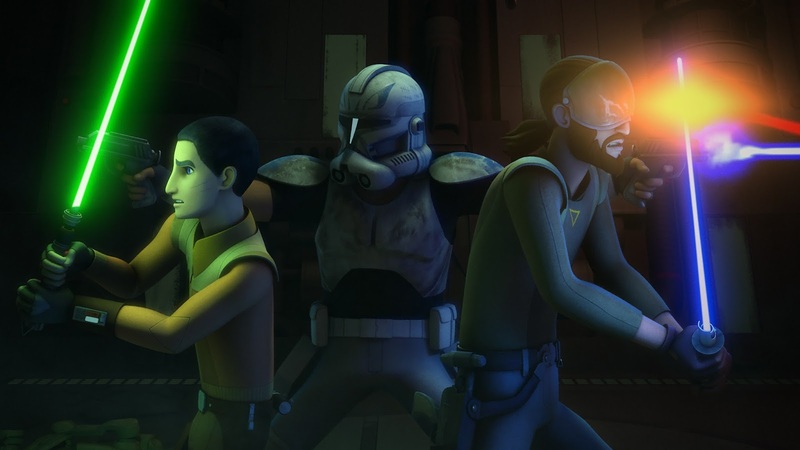 One interesting thing about this clip, and the episode as a whole, is that it includes connections to Star Wars: The Clone Wars and Rogue One: A Star Wars Story. 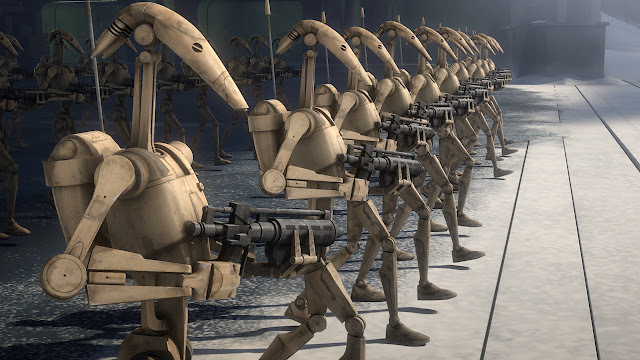 The super tactical droid here appears to be Kalani, who oversaw the separatist occupation of the planet Onderon, seen in season five of The Clone Wars. 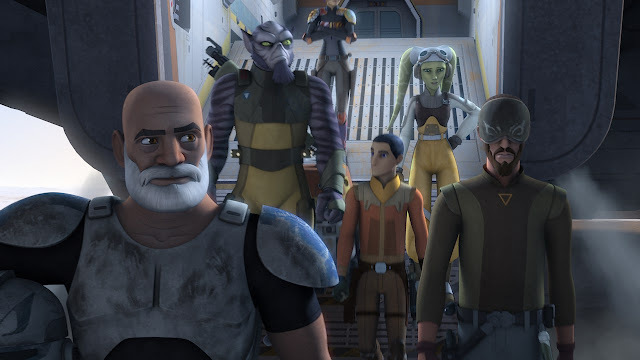 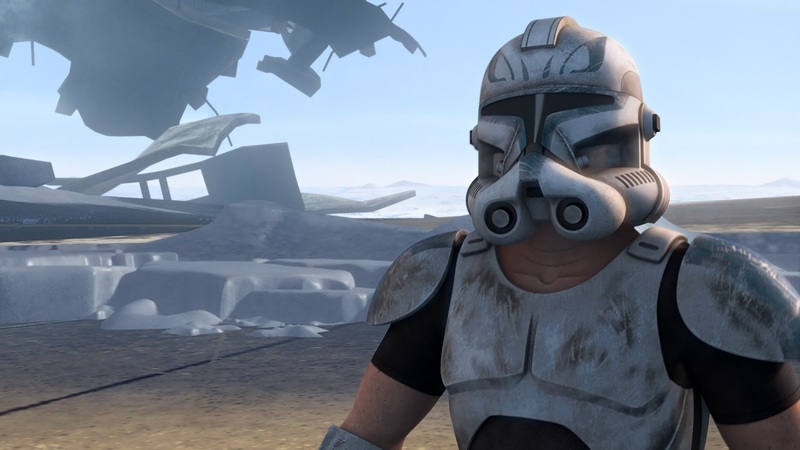 Saw Gerrera, who is set to appear in Rogue One, also appears in the same episodes of The Clone Wars fighting against the Separatist. 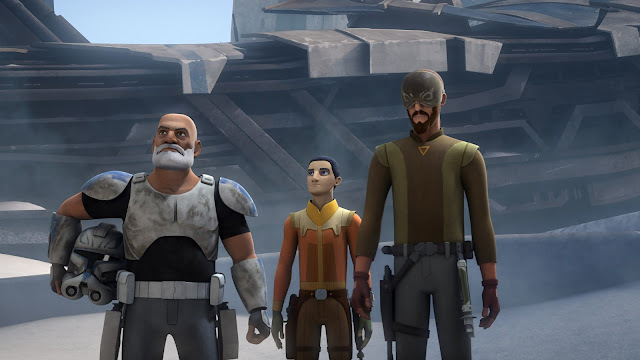 The planet Agamar, where this episode of Rebels takes place, is mentioned in The Clone Wars as the location Count Dooku orders Kalani to send the Droid forces following the events on Onderon.